Software can be really expensive. If you are a designer, animator, photographer, video editor–the industry standard programs can cost into the thousands of dollars. Understandably, these computer programs are fully loaded with all the bells and whistles, but if someone is just learning or trying to experiment in a certain area of interest, it may be an investment that the individual does not yet want to make. A great example of high priced software that is pretty popular is Adobe Photoshop. It’s not just for photographers and professionals working in design firms. A lot of bloggers use it, as well as more casual users. Adobe has changed their pricing and the way they offer their software since I last purchased from them. A few years ago, you could have bought Photoshop for about $600. Now, a user can pay for a subscription to download and utilize it. I think it’s a convenient way to offer their products to people who want to try them because it is a cheaper alternative than having to purchase the entire kit and caboodle while in the learning stage. The user can cancel if they don’t like it. The programs also stay current and up to date as new tools roll out. However, for a long term user, I don’t feel it’s always the most ideal plan (frankly, for my needs I don’t require the most current version as I can go a few generations without an issue…although, I am really hankering to test out Illustrator since mine is ancient). It seems Microsoft Office is veering toward the subscription route as well, but there are still CD versions available. I personally don’t think anyone should have to pay a subscription for an office suite. That’s like having to pay a subscription fee to use your hand to write. It’s a commonly used tool that is pretty necessary. Software choice is still a thing of personal taste, and you may be okay with shelling out the money. However, the main point of this blog is there is an entire cyberspace of free open source software programs out there that can be downloaded for free. Keep in mind, they might not quite have all the same capabilities but as I said before in this post, if someone is wanting to experiment with a certain interest–trying out open source software could be the way to go in the beginning. GIMP is a powerful software that has many of the same capabilities as dear ‘ol Photoshop. This is a widely used program. While the interface might not be as slick as the industry standard photo editor, it still features layers and masks for non destructive editing techniques, among other things. It supports PSD, TIFF, JPEG, and PNG. There are plugins in the GIMP registry online that can extend the software’s capabilities to work with other file formats as well. Inkscape is a program I initially stumbled on when my Illustrator 10 kept refusing to work properly on my machine. I needed to edit my logo, and fast. So I searched for open source vector programs and Ta Da! Besides some simple tools I used within it, I haven’t explored the program much more but have been researching what it can do. As far as I’m aware, it doesn’t have quite the nifty pattern generator the new Illustrator has, but it does have tiling pattern and image tracing capabilities. It isn’t as user friendly or intuitive; in most cases though, it looks like it will get the job done (whatever the job is)! The other day I was watching a tutorial that included working with Adobe InDesign. I remember having nightmares about that program during my college years. It looks a lot easier to me now, but I was curious about the open source alternative. The one that I found was Scribus. This one doesn’t sound quite as advanced as the industry standard programs, and from what I have read the learning curve is steep. But, it doesn’t mean it’s impossible to use. If you’re into 3D modeling, sculpting, or animation, you might enjoy working with Blender. I have spent hours trying to learn this program for creating Second Life objects. It is an amazing program once you conquer the steep learning curve, but there are so many informative tutorials out there that will help. I want to start by saying there really isn’t a super fantastic equivalent video editor to something like Adobe Premiere or Final Cut. Most of the editors I found were not cross platform, had basic tools, or progression had seemed to halt on their development. With that said, the two that looked like they would be sufficient were Blender and Lightworks. Yes! You can use Blender as a video editor. This is just like a third arm of what the program is capable of. It doesn’t look like it would be the easiest to figure out right off the bat since there is a lot of other functionality to this software, but if you need something, it’s there. This isn’t a true open source program, but this version is free. There is a Lightworks Pro that does cost money, but for more simple projects the free version looks like it might be worth a try. One drawback is it does not export in 1080p. CamStudio is a program that will allow you to record videos of your computer screen. It also records audio. This is ideal for recording software tutorials for YouTube or other video websites. If you record music or voice recordings, Audacity is something you may want to look into. I remember downloading this to record something a few years ago, and it worked well. LibreOffice is a full office suite. Much like Microsoft, there is a bundle of programs for word processing, spreadsheets, presentations, databases, and one for math. I haven’t tried any of them out, but from doing some investigating it looks like a useful alternative. There aren’t many differences between LibreOffice and OpenOffice because they are two branches from the same tree. They use most of the same code, and the feature set is nearly the same. So, choosing one is much like choosing the other except for a few minor differences. One of which is where the word count is located in Writer, the word processing program both of them have. If you need to create a PDF, this is your tool. 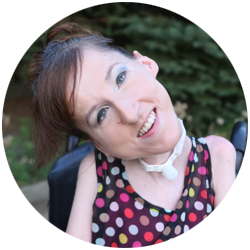 Perhaps you want to create printables or ebooks. PDF Creator has the features needed to make these documents have your desired security restrictions on editing, opening, or printing. I hope you found this list of open source software helpful! We all would love to have the highest rated, fancy programs on the market, but it is nice to know there are free options that will work for most of what we need to do. The equivalents may not be perfect, have steeper learning curves, or not have quite the same features, but be patient. Use Google and YouTube to guide you in learning what you need in order to complete your task. 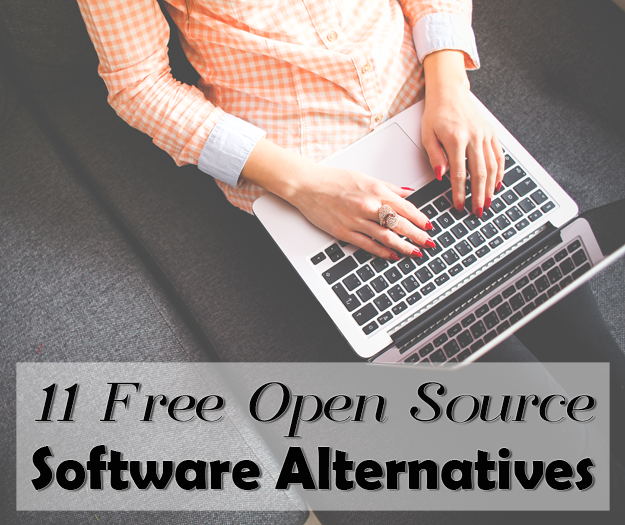 Have you used any of the free open source software listed here? What are your thoughts?